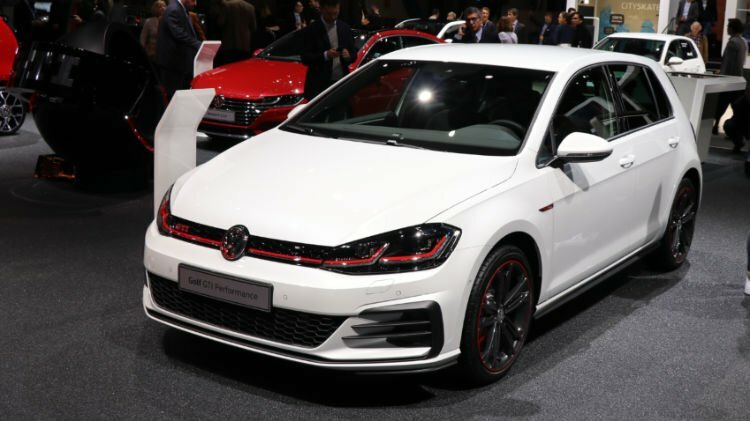 In 2018, the top-selling car models in Europe were again the Volkswagen Golf, Renault Clio, VW Polo and Ford Fiesta. The Nissan Qashqai was Europe’s favorite SUV. In 2018, Europe’s favorite car model were unchanged from a year ago with the Volkswagen Golf still be far the best-selling car. The Renault Clio was the second most-popular car in Europe with Clios selling in record numbers. The VW Polo and Ford Fiesta remained popular. Europe’s best-selling SUVs were the Nissan Qashqai and VW Tiguan while newer competition did well in the SUV and Crossover segments. Europe’s ten favorite car models in 2018 were largely unchanged from a year ago. The Volkswagen Golf easily remained the best-selling car model in Europe, as it has been uninterrupted since 2008. However, sales were weaker and at its lowest volume since 2013 when only 431,754 Golfs were sold in Europe. The VW Golf 8 is due to replace the current model during the second half of 2019. The Renault Clio was the second most-popular car model in Europe in 2018 for the third consecutive year. Sales of the Clio increased again and were at record levels despite the model being due for a complete update during 2019. In contrast, the VW Polo and Ford Fiesta were both renewed recently and both increased sales strongly – the Polo being the most-improved of the top-ten favorite cars in Europe. Despite weaker sales, the Nissan Qashqai remained Europe’s best-selling SUV and maintained the fifth place it gained in 2017. Sales of the Peugeot 208 and VW Tiguan were down by similar percentages but both maintained the rank positions from a year ago. The Peugeot 208 is due for replacement during 2019. The Tiguan and Qashqai are both relatively new models but both experiencing more competition as more SUV and Crossover models are launched in the Europe. In the case of the Tiguan, despite the fifth million Tiguan being produced in January 2019, strong competition comes not only from the VW T-Roc but also from several other brands in the Volkswagen Group. The Skoda Octavia improved one rank position despite slightly weaker sales. The Toyota Yaris, the only new entrant on the top ten list, entered at nine from 14 a year ago. The Yaris was helped by strong interest in hybrid cars. The Opel / Vauxhall Corsa dropped another two rank positions to round out the list. The Corsa was the fifth best-selling car in Europe from 2013 to 2016 and fourth in 2012. A new Corsa on the basis of the Peugeot 208 is expected during 2019. The worst-performing of the 25 most-popular car models in Europe in 2018 was the Opel / Vauxhall Astra. Sales of the Astra were down by more than a quarter to slip from tenth most-popular car in Europe in 2017 to only 21st in 2018. It is rare for a popular model to drop as much without the disruption of a model change. It is still somewhat unclear when Peugeot plans to change the Astra. The second worst-performing top model in Europe in 2018 was the VW Passat. Sales of the high-earning Passat were down 14% to slip from 18th to 22nd. VW sold 70,000 fewer Passats in Europe in 2018 than in 2015. A minor model update is due in 2018. SUVs and Crossover models generally did well, apart from establish leaders such as the Qashqai and Tiguan that are facing stronger and cheaper competition. The Peugeot 3008 and Dacia Duster were the most-improved models while the aging Renault Captur maintained its rank and sales volumes. The Duster was at 17 the highest ranking new entrant on the list. The other three new models in the list of Europe’s 25 top-selling car models were the Mercedes Benz A Class, Peugeot 308 and Ford Kuga. The four cars slipping out of the ranking were the Mercedes Benz C Class, Opel Mokka, Renault Megane and Audi A3. The Mercedes-Benz A Class was the top-selling model from the so-called premium brands while the best-selling premium brand SUV was the BMW X1 that failed to make it onto the top 25 list.